This article pertains to 4-Post rail installation for EVO 16-bay, EVO 8-bay, and EVO Prodigy (1U). For 2-Post rail-installation instructions, see this article. 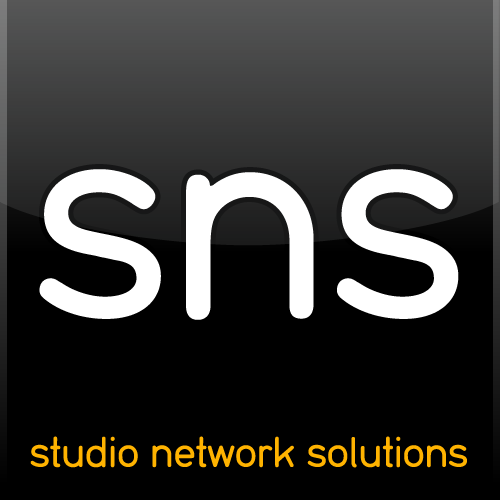 Included with your SNS EVO you’ll find a rack mount kit, which requires some assembly. While it may appear at first to be a daunting task if you've never installed rails to a rack-mountable unit, we believe that by following these steps you’ll find it easy to successfully mount the hardware. Please contact us if you have any trouble. Your equipment rack should have both front and rear rails (4 post) and be of sufficient depth to accommodate the full length of the EVO chassis, plus clearance for cables in the rear. Adequate ventilation should be maintained, and the environmental requirements should be observed (temperature, humidity, etc.). (1x) pair of chassis handles with mounting screws may be included. (1x) pair adjustable rear brackets including hardware. There are threaded mounting holes on each side of the chassis. Use 5 pan head screws per side. Mount the adapter with the spring release tab towards the rear of the chassis. If desired, mount the handles (if included) to the front of the EVO chassis at this time. Selecting the mounting location. In addition to the rack depth and clearance already mentioned, you’ll need appropriate rack spaces in which to mount your new EVO system. EVO 16-bay requires 3 rack spaces per chassis. Slide assemblies should be mounted to the middle of the 3 spaces. EVO 8-bay requires 2 rack spaces per chassis. Slide assemblies should be mounted to the upper of the two spaces. EVO Prodigy requires 1 rack space per chassis. Measure depth of rack and select appropriate rear brackets. There are two sets of rear support brackets (long and short) included with the EVO rack mount kit. Measure the depth of your equipment rack (front rail to rear rail) to select the bracket that best fits your situation. The brackets may be attached to the slider in either direction to fit different racks. Attach the brackets to the slider rails using two pan head screws and two keps nuts per side. Adjust the length to match the distance between the front and rear rails of your rack. Ensure that the screws are inserted so the keps nuts are next to the bracket. Mounting the sliders to the rack. To accommodate the width of the EVO chassis, the sliders should be mounted to the inside of the front facing equipment rack rails. Use bar nuts behind the flange of the sliders, and flat or pan head screws (included) through the front of the rack rails. Optionally, you may use longer, standard rack screws #10-32 (not included). Once mounted, the telescopic sliders should be flush against the equipment rack front rail. At the rear support, the brackets may be mounted to the outside of the rear equipment rack rails. Mounting the chassis to the sliders. Extend both sliders to their full length from the front of the equipment rack. Carefully lift the chassis and align the lower flange of the chassis adapters into the extended sliders. You’ll probably need two people for this step. Once the chassis adapters are securely engaged with the telescoping sliders, push the chassis towards the rack. The spring loaded release tabs will click into their retention holes in the slider. As the chassis is slid further into the rack, you may need to push the extension locking buttons on the inside of the sliders to allow the chassis to fully retract into the rack. Go slowly and ensure that you don’t damage any existing cables as you slide the chassis into the rack. Here’s a silent movie that also details the racking process. How frequently should I reboot my EVO shared storage server?